The many benefits of yoga for mothers and babies are well-documented. Local Mums recommend the best yoga classes for mums and babies in our area. "I highly recommend YogaBellies to all Local Mums. I thoroughly enjoyed attending prenatal yoga while pregnant with my first baby, using the breathing techniques and postures practiced in the classes I was able to have a wonderful water birth on just gas and air. Without the classes I would not have felt as strong, focused, calm and able to cope. Having never done yoga before I was anxious to start, however I immediately felt welcomed and at ease in the friendly atmosphere that Bobbie, the instructor had created. It was a great opportunity to meet other ladies at all stages of pregnancy. The classes really helped me to connect and bond with my unborn baby which I was struggling to do before and have inspired me to continue yoga practice beyond pregnancy, I look forward to attending Mum & Baby Yoga soon!" 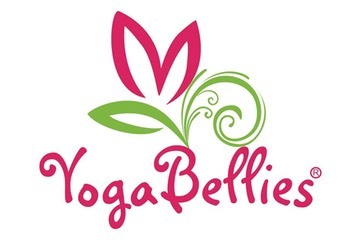 "I recommend�YogaBellies�to Local Mums.�I chose to go to YogaBellies as I was experiencing a very difficult pregnancy and I just wanted to do something that might help me to relax and actually enjoy my pregnancy.�The classes really helped me learn relaxation techniques and showed me how breathing could make such a difference. I used these techniques during the emergency c-section that I had to have and they really helped. I really looked forward to the classes each week." YogaBellies offer authentic classes, therapies and workshops for women and children at every stage of their lives including pregnancy and birth; for post-partum mum and baby and now also, yoga for children. They offer yoga for women from mentruation to post menopausa and even have a revolutionary new Birth Preparation course called Birth ROCKS - a tailor made course for mums and their birth partners. YogaBellies offer private 1-2-1 and group sessions. YogaBellies� sessions incorporate a range of authentic yogic and holistic techniques which create a unique experience for their clients. Sessions may incorporate traditional yoga asanas (postures); self-hypnosis and deep relaxation; unique YogaBellies� touch therapies using their gorgeous own brand products for mother and baby or beautiful songs, games and positive life building experiences for infants and children. YogaBellies� classes are entirely unique and the class formula means that 86% of class attendees have never set foot in a yoga class before. They make sure classes are non-scary, non-threatening, welcoming and open to all levels of practitioner. They believe that yoga should accessible to everyone.